(NaturalNews) One of the world's biggest bottled water brands, Aquafina, has admitted that its bottled water comes from the exact same source as the water from your kitchen tap. A few years ago, the Pepsi corporation was forced by an advocacy group called, "Corporate Accountability International," to change their misleading label and make it clear to the customers that the water in the plastic bottles is nothing more than filtered tap water. PepsiCo spokeswoman Michelle Naughtron called this decision a "reasonable thing to do" if it helped consumers better understand the fact that the water comes from public sources. While the label reads "purified drinking water" in plain sight, somewhere in tiny letters they added the P.W.S. (Public Water Source) label. Do these three letters really help people understand that they are paying a premium price for the same water that flows out of their kitchen tap? Probably not. After multiple reports about tap water in the United States being spiked with fluoride or contaminated with heavy metals and other nasty chemicals - think of the Flint water crisis and increased fracking activities - many American customers no longer trust their tap water. As a result, many informed customers now reach for bottled water instead. They believe it is a safer, chemical-free alternative to tap water. Unfortunately, bottled water is often just as bad, or even worse. According to Living Traditionally, most municipal tap water companies have stricter purity standards than the bottled water industry. While the U.S. Environmental Protection Agency (EPA) requires public water suppliers to test for contaminants as often as several times a day, private water companies only have to check their supply once a week, a year, or every four years, depending on the contaminant. By including a picture of mountains and the term purified water on the label, consumers are led to believe that Aquafina originates from a natural mountain spring which is then filtered and bottled. 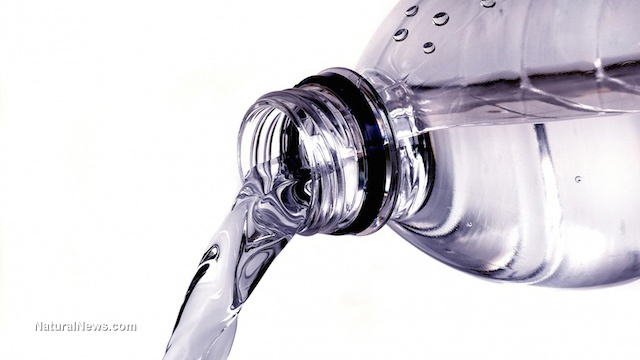 As stated by the Beverage Marketing Association, nearly 50 percent of all bottled water sold in the U.S. is tap water. Nonetheless, people unknowingly keep paying a premium price for the same water that comes out of their tap. "The [bottled water] industry grossed a total of $11.8 billion on those 9.7 billion gallons in 2012, making bottled water about $1.22/gallon nationwide and 300x the cost of a gallon of tap water," ConvergEx Group Chief Market Strategist Nick Colas explained. "If we take into account the fact that almost 2/3 of all bottled water sales are single 16.9oz (500 mL) bottles, though, this cost is much, much higher: about $7.50 per gallon, according to the American Water Works Association. That's almost 2,000x the cost of a gallon of tap water and twice the cost of a gallon of regular gasoline." In addition to the fact that thousands of people worldwide buy expensive bottled water under the false assumption that it is much healthier than tap water, plastic bottles are ruining the planet. As reported by Inverse, there is a plastic mass floating around the Pacific Ocean that is nearly twice the size of Texas. They further noted that nearly every single seabird on the planet will have plastic in its belly by 2050. Rather than buying plastic bottled water, it is much better to invest in a good filtration system and filter your own water. Then you know exactly what you are drinking, and can be sure that it is actually safe to drink.